Hybrid annuities are not your traditional every day annuity. 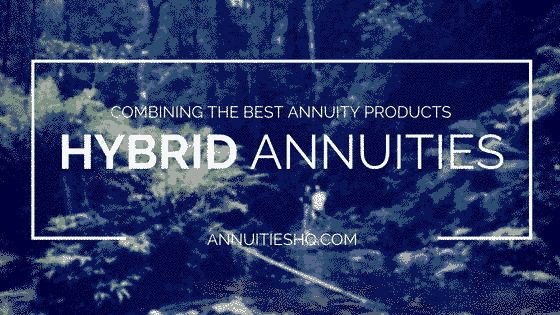 A Hybrid Annuity is a newer evolution in the annuity product world and they are best suited to investors who are interested in preserving one’s principle whilst participating in the upside potential that can be yielded from the investment market. Now lets dive into that a bit deeper, there are some caps and some parts that can limit the upside for the hybrid annuity owner. Hybrid annuities are still principal-protected annuities but investors end up making a slight trade off in upside potential in the markets in exchange for a guarantee of principal. The fixed index annuity is also referred to as the hybrid annuity. It borrows some of the features from the immediate annuity, from the fixed annuity, and also from the variable annuity. Hence the term “hybrid”. For more information about annuities, take a look at our annuity guide.